According to recent studies, the treatment for the top one percent of patients with chronic conditions accounts for 25 percent of all health care spending by the privately insured. Between multiple hospital stays, emergency room visits and prescription drugs, medical spending for this group can quickly add up to hundreds of thousands of dollars. Physicians and medical experts agree that a collaborative and coordinated approach to treat chronic conditions is key to successfully improving the health and wellness of patients while also helping to address the growing costs associated with treatment. Hospitals throughout California have been taking action to make sure they comply with Senate Bill 1953, which was passed in 1994 and establishes various levels of seismic performance regarding the survivability of acute care facilities (hospitals) during and after an earthquake. Deadlines included in the bill have changed several times, and having a knowledgeable and skilled team managing the upgrades is critical for hospitals needing to make upgrades. San Diego Hospice will see its budget drop by $20 million, layoff about a fourth of its staff and be forced to discharge roughly 400 patients as Medicare enforces stricter compliance with its guidelines, which limits care to patients that have only six months or less to live. Health care providers in the county are in the middle of upgrading and expanding their medical facilities with more than a billion dollars in capital improvement projects, with several in the design phase and under construction. 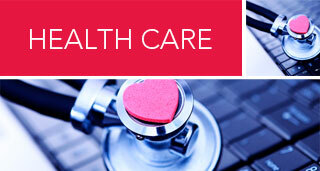 Following the recent election and the Supreme Court’s decision last summer to uphold the Patient Protection and Affordability Act (PPACA), attention has turned to implementing health care reform. Employers must carefully evaluate their benefit programs and practices to ensure compliance, even though final guidance on various provisions has yet to be issued or clarified. Health care professionals agree that change is needed, but the Affordable Care Act presents concerns that may outweigh the benefits. 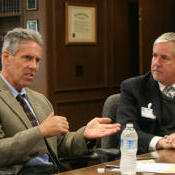 It seems to be that construction work in the health care and medical fields will continue to be an area of high activity, but there are challenges ahead, according to health care, design and construction executives at a recent roundtable discussion held at The Daily Transcript and sponsored by Pacific Building Group. 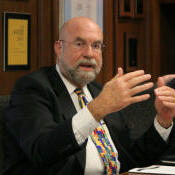 Dec. 5, 2012 -- George Chamberlin and Dr. Sherry Franklin, owner of Pediatric Endocrinology of San Diego and president of the San Diego County Medical Society, discuss the state of the health industry in the United States in light of the Affordable Care Act. Take an in-depth look at new technology, emerging treatments, legal matters and more in this special report.